1 whale | This Blog Rules | Why go elsewhere? Beautiful Beluga whales at the aquarium AQUAS in Hamada, Tokyo are performing in an unusual but impressive way . They exhale bubble rings that look like white rings in the water. 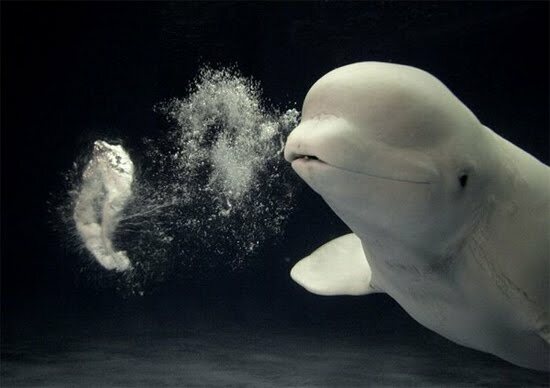 Beluga is Russian and means “white one”. These whales look a bit different then other whales with a small but stout body, a small blunt head with tiny eyes and one blowhole.